My name is Ireneusz Ciaglo. I started adventure with Blender in 2008. My goal is to create photo-realistic rendering. 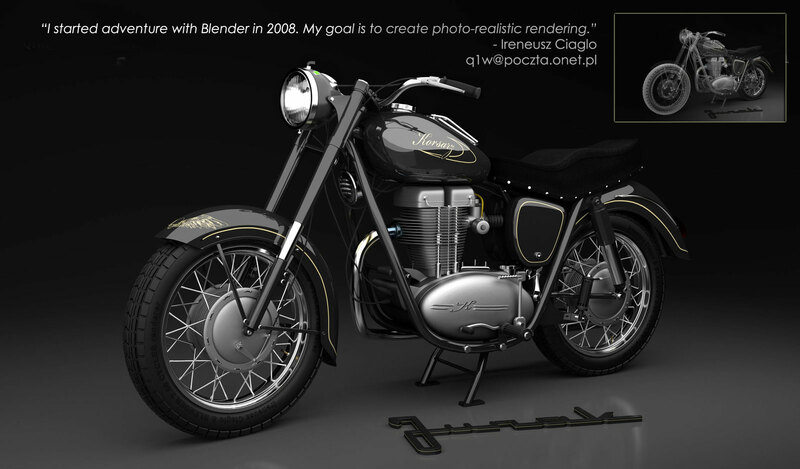 My inspiration for the project came from Polish classic motoring Junak wheelers. My grandfather have built such a motor. And that inspired me to create a 3D model as a reminder of this magnificent machine.